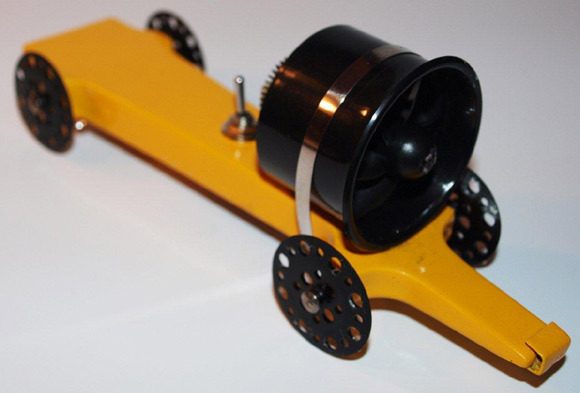 At some events, powered pinewood derby cars are allowed. 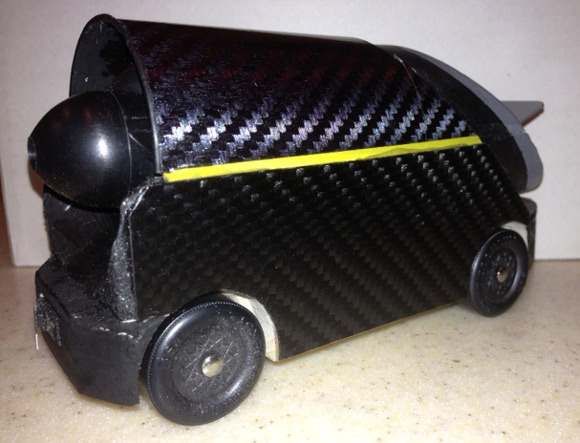 These cars really make tracks – it can be a problem for the pinewood derby track to stop the car at the end. 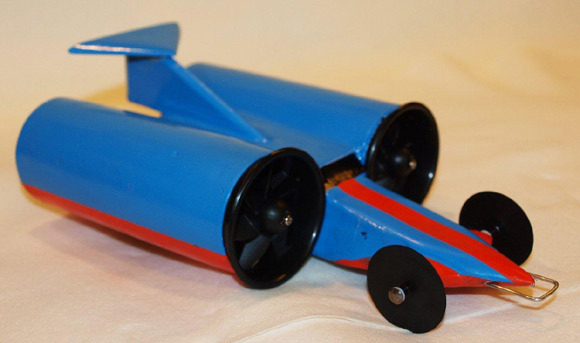 Here are several examples of ducted fan pinewood derby cars from Pinewood Derby Times Volume 12, Issue 10.